This hydrating serum made my skin feel baby smooth instantly. Infused with Kelp Extract, Vitamin C, Sweet Almond Oil, Seaweed extract, and Resveratrol, it helps reduce the signs of aging. 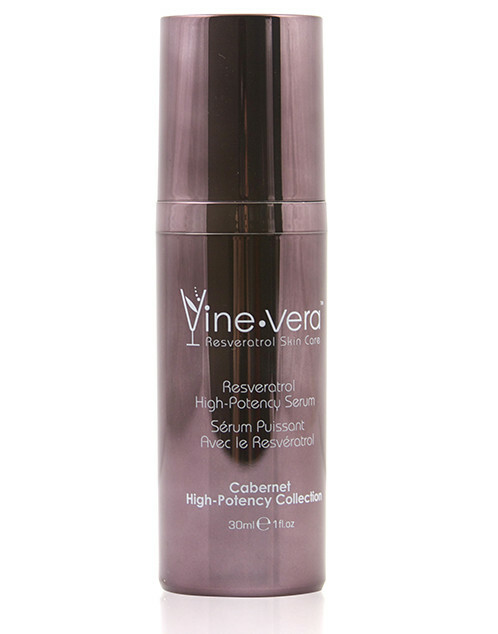 I was very surprised at the immediacy of the effect this serum had on my skin. I noticed a difference very soon after my first application. And I’m obsessed with the scent. It’s like high end spa meets new age store. I love it! This unique ultra-light cream will leave your skin feeling silky smooth and radiant. Infused with Vitamin A, Vitamin E, Avocado Oil, Seaweed Extract, and Resveratrol, this fabulous cream replenishes the skin’s loss of moisture. I found that it seriously hydrated my skin and left it feeling nourished and looking luminous. 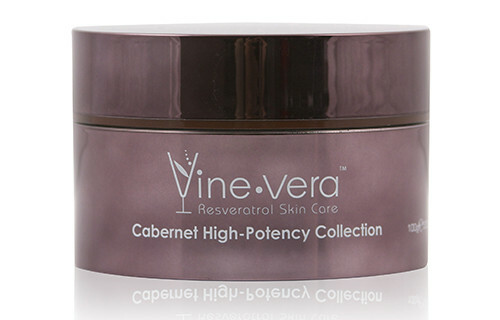 Vine Vera has also recently launched a new product in the Cabernet collection, the Resveratrol high potency powder. For additional information, check out the product here.